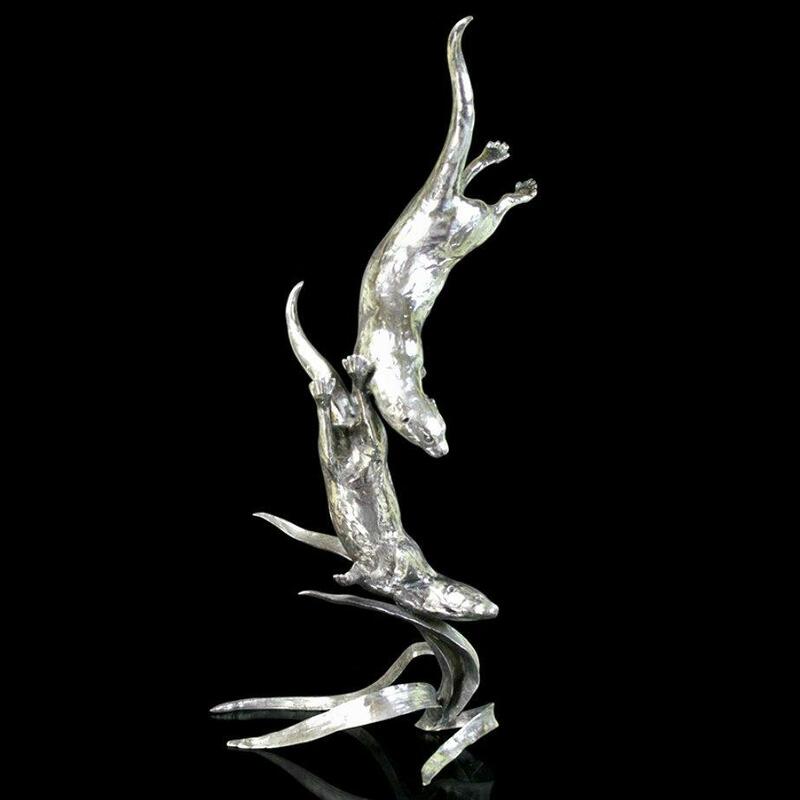 Spectacular sculpture in solid, hand finished stainless steel featuring two otters diving down through reed beds at the bottom of the river. Expertly crafted by renowned wildlife sculptor Michael Simpson this would be an eye-catching centrepiece for any collection. This is a substantial sculpture, weighing in at 3.2 kg and issued in a small limited edition of just 25. It would be a very special gift for a collector of Michael Simpson's work. fine quality stainless steel, hand finished.